Are you looking to commission us to paint or draw your horse? If so, you have come to the right place in preparation for taking photos or emailing us the kind of photos we need to work from. Photos are absolutely key in the process. We both work from one main pose for our portraits, so the photo you choose must capture your horse well. The pose must also be exactly how you would like to see them in the portrait. There are lots of things to take into consideration when taking photos, or choosing photos for a portrait. Hopefully this page will give you a general guide in what to look out for. 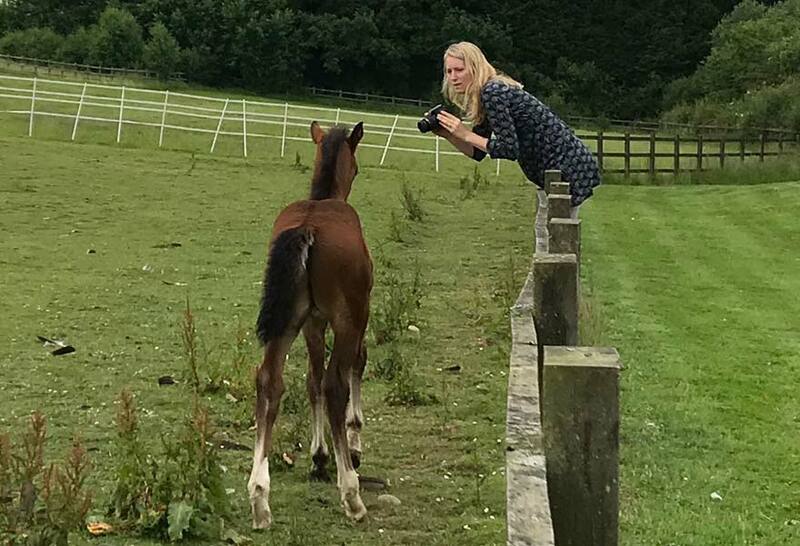 Take photos in a Stable or Outside? If you are looking to take photos of your horse for a portrait, the ideal is to take your horse outside into a yard or field for the photo shoot. As you can see by comparing the photos below, the stables are fairly dark and the camera has used the in built flash to help add light into the scene. This helps us to see the horse more clearly, however it can give unnatural shadows and shiny areas on the horse. 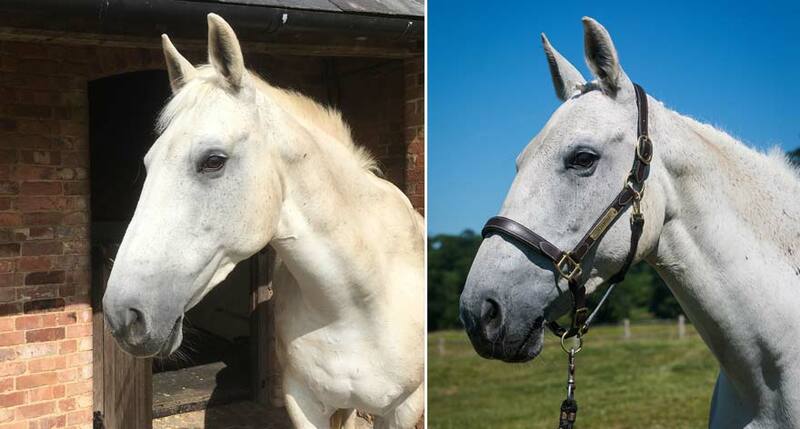 We can to some extent remove flash and red eye from eyes, however if you have the facilities to take photos of your horse in natural daylight, it will be much more ideal. 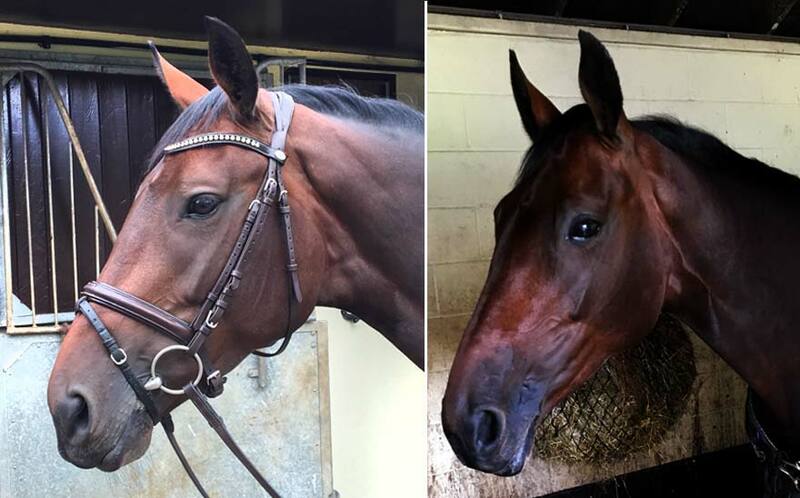 The photo comparison below is also a good example of deciding whether you would like to see your horse in the portrait with or without tack. 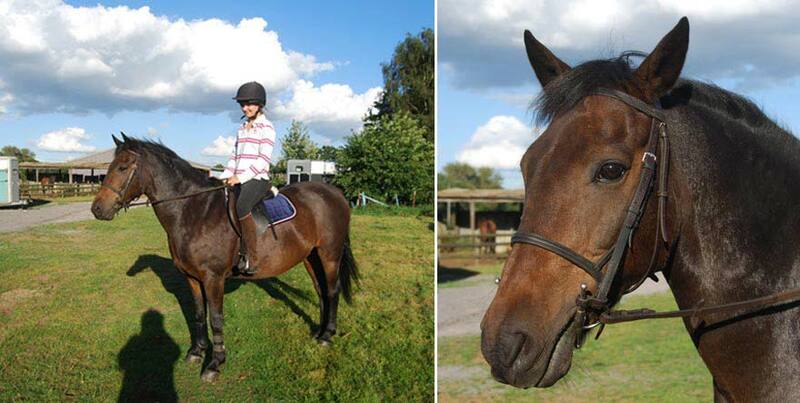 The photos of Elly below show her with a head collar in one photos and without anything on in the other. In most cases we are unable to remove head collars or tack when painting or drawing your portrait. Many owners like to see their horse more naturally without any reins, rugs, coats, tack etc. Other clients prefer to have their horses painted in their full refinery. It is extremely difficult to remove the tack when working from a photo with your horse wearing tack, as it means 'imagining what is underneath' and in effect making these areas up. So we do prefer to paint or draw the photo exactly how you have taken them. Get close to your subject! If you would like us to paint or draw a head study of your horse, the ideal is to fill the viewfinder with the horses head. We aren't for example, able to paint a head study from the full body photo below left. When zooming into the photo on the computer there is not enough information within the photo to work with. However if you step forward a few paces you can quite easily get a photo similar to the example below right. You can clearly see both photos were a taken on the same day, at the same time, however there is far more information within the photo on the right to paint from. If you are looking to have a full body painting, it is a good idea to take a range of full body photos similar to the photo below left and without altering your eye level, walk forward a few paces to take some close up photos of the horses head. This way we will have plenty of information of your horse for painting or drawing from. We can change, remove, replace and alter backgrounds in most instances. The possibilities are endless. We often like to create a mock up for our clients on the computer using their photos to show them what their portrait could look like. As artists we can imagine backgrounds altered and changed as we have had much experience of this over the last 22 years. It is, however, often difficult for clients to imagine what their painting or drawing is going to be like with a different background. By creating a mock up, we can show clients before any actual painting or drawing is started. As you can see from the two photos below, this is a quick way to show a client what the composition and design of the portrait might look like with a studio style background. The computer mock up is fairly rough as it is only intended to give the client an idea of the design, but its a fabulous basis for us to traditionally paint and draw from. Which camera should I use? Our clients use a variety of cameras from mobiles, tablets to SLR digital cameras. A digital camera will always be the best way of taking photos of your horse, however mobiles and tablets are good if you adhere to a few simple rules. Make sure you take photos on a sunny day outside as the lenses in mobile devices aren’t as good as digital cameras. They don’t handle dark rooms or stables very well. Make sure you fill the screen with your subject as there isn’t quite as much information in the photos from mobile devices, so its always best to get as close as you can, making sure you don’t chop out any feet or ears! The direction of the sunlight is also an important factor when taking photos of your horses. Make sure that the light is behind you, so it's bathing the subject in light. The photos below were taken on two separate days. In the photo on the left, the sun is shining over the photographer right shoulder bathing the horse in warm sunlight and creating lovely deep shadows. In the photo on the right its a much duller day and the sun is behind the horse, so even though we have a few lovely highlights for instance on the back of the horses neck, the photo isn’t ideal for a portrait. Choose your photo shoot day wisely. below is a detail of the painting that was created from the photo of Elly at the top of the page and in the mockup section too. 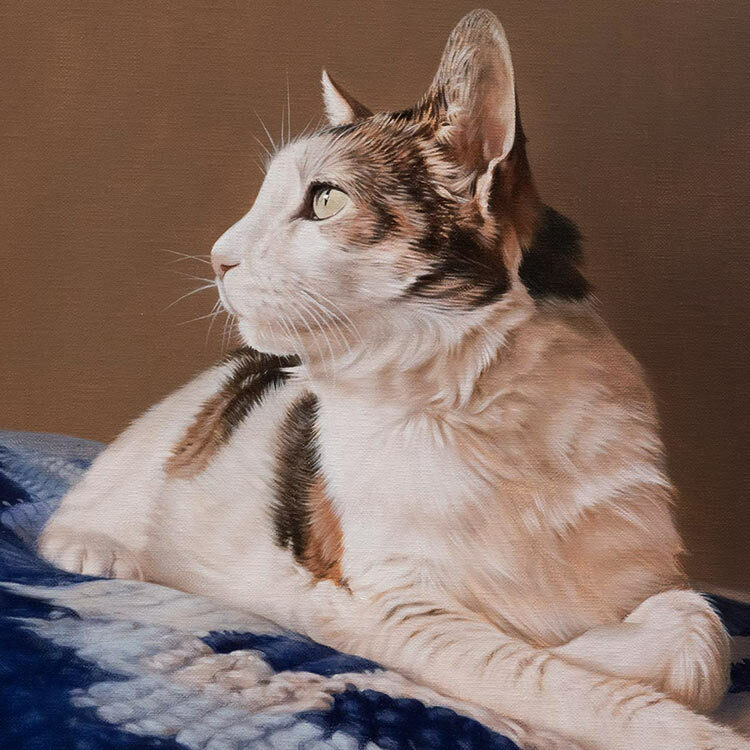 Nicholas painted Elly at 24 x 18 in oils on Italian Linen Canvas. 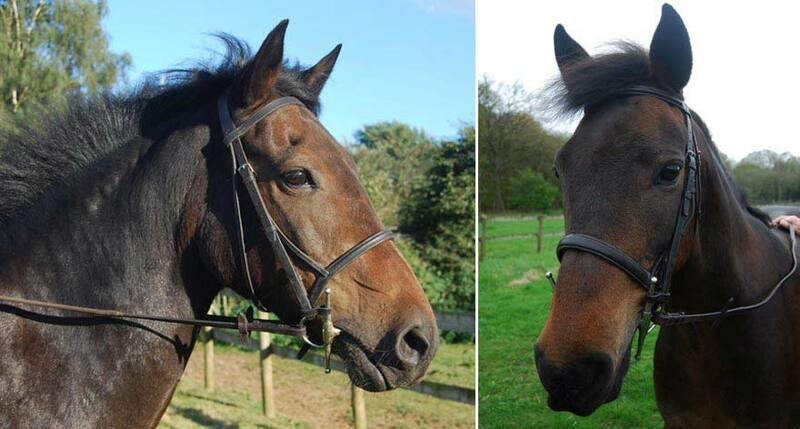 If you would like to send your photos of your horses for us to see, you are more than welcome. Let us know your favourite that really capture them well and we can let you know which we feel might be best for a portrait along with your options for a portrait.